Mayor Daniel Guerrero of San Pedro is moving ahead and is delivering on his promise made to preschools and primary schools on Ambergris Caye and addressing the needs expressed by the schools after a visit earlier this year. During his familiarization tour just a few days after taking office, Mayor Guerrero and his councilors visited each of the primary and preschools and asked the management to come up with a “wish list” that was manageable for the council to fulfill. From the lists derived and submitted by each school, the San Pedro Town council (SPTC) is making the effort to fulfill a few of the items requested. While the San Pedro Roman Catholic School is receiving three new classrooms and a complete facelift, other schools are receiving landfill for the school yard. 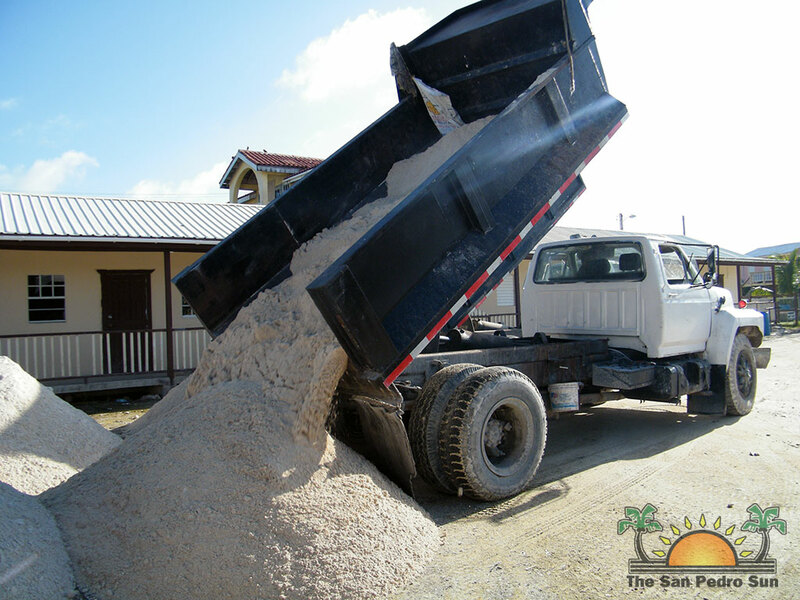 The media caught up with Mayor Guerrero as he and a few council members were out delivering sand to the school principals on Monday August 20th. “We are delivering on the wish list the school submitted to us upon taking office,” said Mayor Guerrero. 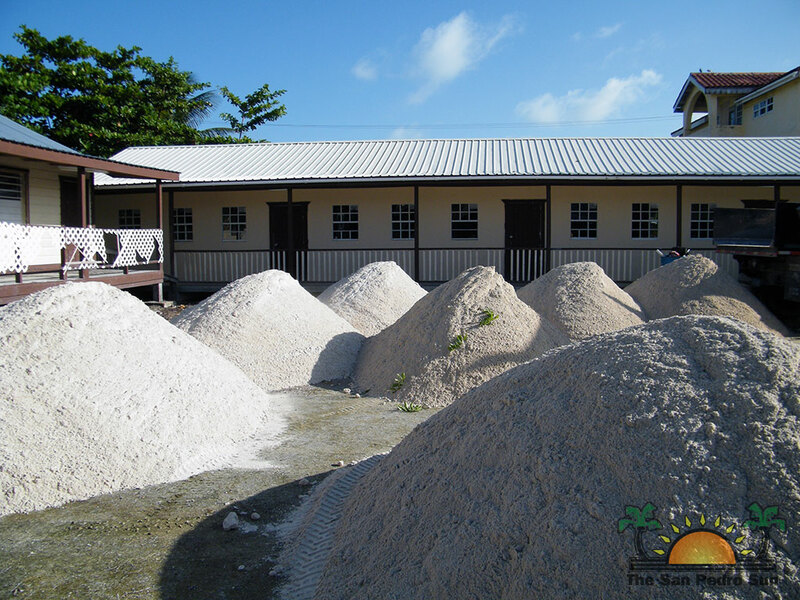 As such the New Horizon Seventh Day Adventist (SDA) Primary School received ten loads of sand equivalent to a total of 80 cubic yards or almost 22 tons. In addition, the Mayor is working to replace broken windows with new ones and help in making ventilation better at the school. At hand to receive the donation was the Principal of New Horizon SDA School, Miguel Hernandez, who expressed gratitude for the donation and also reminded the Mayor on the much need classroom space. “We are working on finding funds for new classrooms,” said Mayor Guerrero, in response to Hernandez’ concerns. 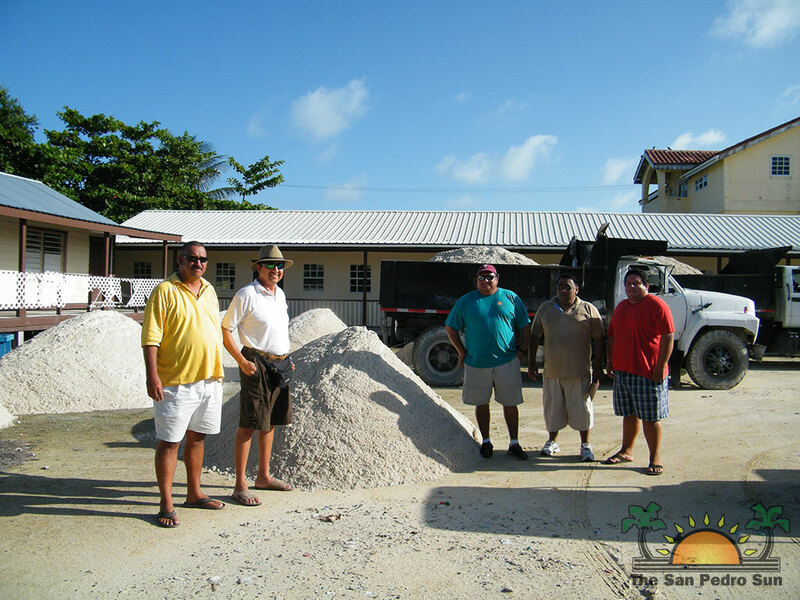 Mayor Guerrero explained that a similar quantity of sand will be donated to Holy Cross Anglican Primary School and a smaller quantity to all preschools on the island. “We want to ensure that we give each one of the schools something just before the opening of the school year,” ended Mayor Guerrero. The sand donated from the stock available to the SPTC will help alleviate the isolated flooding situation in the school yards and will provide for adequate and dryer playing environment for the children. During the course of the week the SPTC vehicles will also be visiting the schools to drop off donations given to the council for the new school year.